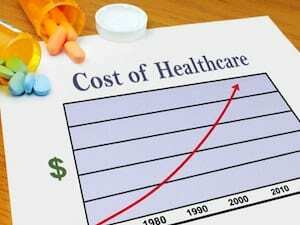 TUESDAY, Jan. 23, 2018 (HealthDay News) — Americans spent more on health care in 2016, even though their use of health care did not increase, and rising costs are the reason why, a new report shows. “It is time to have a national conversation on the role of price increases in the growth of health care spending,” said Niall Brennan, president of the Health Care Cost Institute. The institute is a non-partisan, nonprofit focused on health care utilization and costs. The institute’s annual Health Care Cost and Utilization Report, released Tuesday, examines health care use and spending from 2012 to 2016 among people up to age 65 with employer-sponsored health insurance. The researchers analyzed data from about 4 billion claims from nearly 40 million people. During the five-year study period, prescription drug spending rose 27 percent, according to the report. The price of many generic drugs remained the same or fell, and the use of brand-name prescription drugs declined, the study found. It attributed the overall increase in spending to double-digit price increases for brand-name prescription drugs. The study also found that the number of emergency room visits rose only slightly, but the average price for an ER visit increased 31.5 percent during the study period. The price of inpatient and outpatient surgeries also increased. The average price for inpatient surgery rose nearly $10,000, or 30 percent, despite a 16 percent decline in such surgeries. The price for outpatient surgery climbed more than 19 percent. Overall spending on primary care office visits decreased 6 percent because of a drop in the number of visits. However, spending on office visits to specialists rose 31 percent, and spending on preventive care visits rose 23 percent. These findings could be partly due to changes in billing practices or in the way people seek care, the report said. Patients’ out-of-pocket spending rose every year but at a slower rate than total health care spending. The report said this was because patients had out-of-pocket costs for prescriptions. “While consumers, especially those with employer-sponsored insurance, may not feel the direct impact of these charges via out-of-pocket payments, they ultimately pay through increased premiums and decreased benefits,” Brennan said. The Kaiser Family Foundation has more on health costs.